This blog was originally posted in partnership with Trase on Medium and on the Global Forest Watch blog. Big brands, retailers and agribusiness companies the world over have promised to make their supply chains deforestation-free. But will these voluntary commitments save forests and help people living in them? That depends on how companies measure success. Narrowly defined victories within the boundaries of a company’s own operations or supply chain may have limited impact. Businesses should keep their eyes on the real prize: prosperous and productive rural economies where natural ecosystems are valued and protected and community rights are respected. A business supplies green products to customers that want them and unsustainable products to those that don’t. A corporate group can play a similar game, in which only some subsidiaries promise no deforestation. While customers may be able to claim the specific products they buy are deforestation-free, deforestation in other corners of the supplier’s business will continue. An agribusiness may be tempted to excise forested areas from its concessions and land holdings, or dispose of permits that overlap forests altogether, and so claim its operations are deforestation-free. However, this leaves discarded forests vulnerable to the whims of the next owner. The better path is for the company to retain and protect those forests, or entrust them to a body that guarantees their conservation. A narrow focus on avoiding deforestation may mean ignoring pollution, water stewardship, labor rights, social equity and other sustainability issues. Worrying only about forests won’t protect grasslands, shrublands and wetlands. Focusing only on the front end of a supply chain could mean turning a blind eye to child labor in factories, emissions from transport, or manufacturing and food waste. The goal of eliminating deforestation from supply chains should be seen as just one aspect of sustainability, rather than a stand-alone cause. Deforestation-free supply chains need to be mindful of history. If a supplier can earn deforestation-free status the moment it quits deforesting, it may have an incentive to keep the bulldozers running for as long as it takes to convert the forests in its holdings to farms and plantations. If deforestation by a previous landholder doesn’t count, a business may choose to stand by while others cut down forests to plant crops or graze livestock, only to buy these lands or the produce from them after the forest is gone. To avoid perverse incentives to deforest now and quit later, businesses should specify cut-off dates after which deforestation won’t be tolerated. These can be based on commodity certification standards. For the Roundtable on Sustainable Palm Oil, for example, new plantations cannot replace primary forest or high-conservation-value areas or primary forests after 2005. Those that deforest areas after the cut-off, or acquire these areas or buy produce from them, should be required to redress the legacy of the deforestation through resolution of social conflicts, ecological restoration and compensatory conservation before they qualify as deforestation-free suppliers. While it makes sense to target palm oil, soy, beef and wood as sectors to watch for deforestation, success with these big four commodities won’t prevent others from expanding into their no-go zones. Rubber, sugar, coffee, avocados and cocoa have all been linked to deforestation, as have mining and hydropower, yet these sectors are outside the scope of most corporate deforestation-free commitments. It is smart to focus on the most intense deforestation fronts, but success in these places may simply displace deforestation rather than eliminating it. While the Brazilian soy moratorium has slowed deforestation in the Brazilian Amazon, it might have accelerated forest clearing for soy in the Brazilian Cerrado (which fell outside the moratorium) or neighboring countries. Further, if companies committed to avoiding deforestation expand their holdings by acquiring land from other farmers, those farmers may secure new land by clearing forests elsewhere. 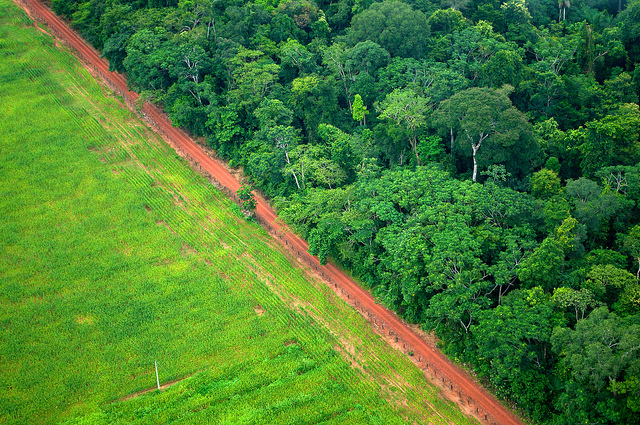 Voluntary private sector action alone can’t tackle the root causes of deforestation. Deforestation often correlates with governance failings in land zoning, permitting or the recognition of customary resource rights. Yet the instinct of many in the private sector is to focus on matters within their control, and take a poor regulatory environment as a given. While active engagement with governments may be challenging, the enabling conditions for sustainable, deforestation-free development are unlikely to be achieved without bringing government on board. Short-sighted campaigns risk scaring responsible supply chain actors away from the places where they can have the greatest impact. 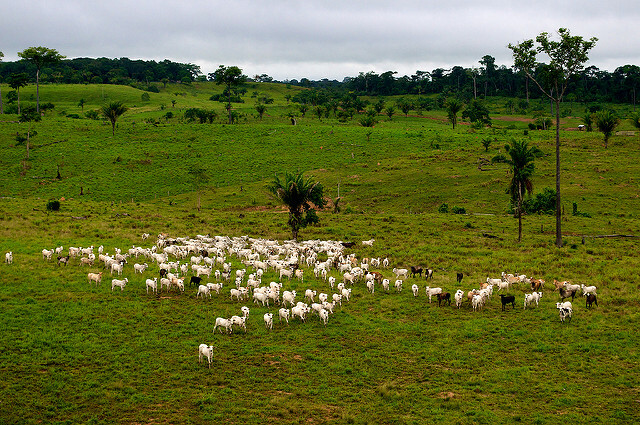 Reversing a deforestation front will usually require hard work, time and investment to develop capacity and incentives for sustainable land-use choices and practices. Forests are more likely to be saved if progressive companies remain engaged and drive reform in the places most vulnerable to deforestation. As recent reports show, a few leading companies have made great progress in removing deforestation-linked commodities from their supply chains, but most have a long way to go. In addition to action within their own supply chains, companies pledging to go deforestation-free need to keeping asking whether their actions are helping to spur a broader transition to greener, more inclusive economies. Tools like Global Forest Watch and Trase and platforms like the New York Declaration on Forests can help answer these questions. This blog is one of a set based on a panel hosted by the Stockholm Environment Institute and the Global Canopy Programme at the Global Landscapes Forum in Marrakech during COP22. The panel discussion focused on the risks, challenges and opportunities involved in monitoring progress towards more sustainable commodity supply chains. Links to complementary blogs from the same discussion forum by Charlotte Streck of Climate Focus and Frances Seymour of the Center for Global Development can be found here.